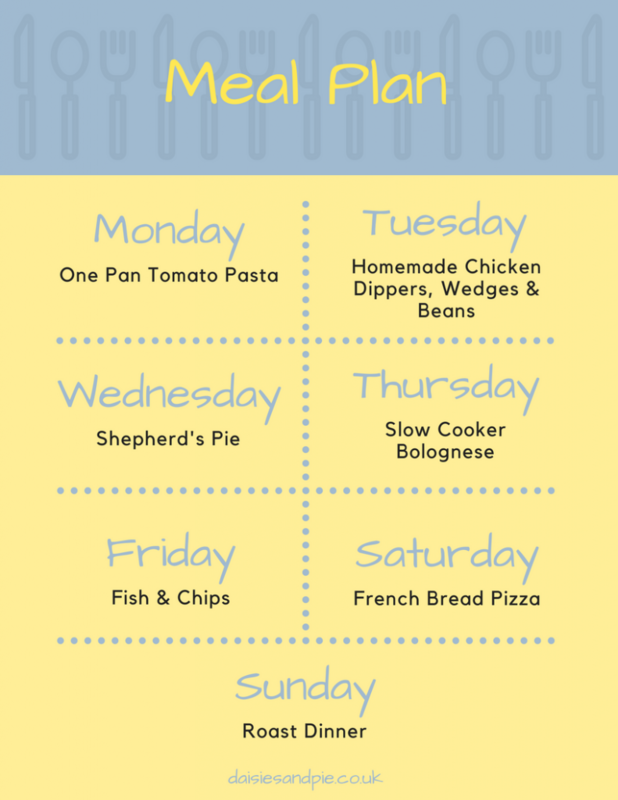 We’re properly back into the swing of being back at school now and so this week the dinners are easy, low faff and quick to cook because time is precious. 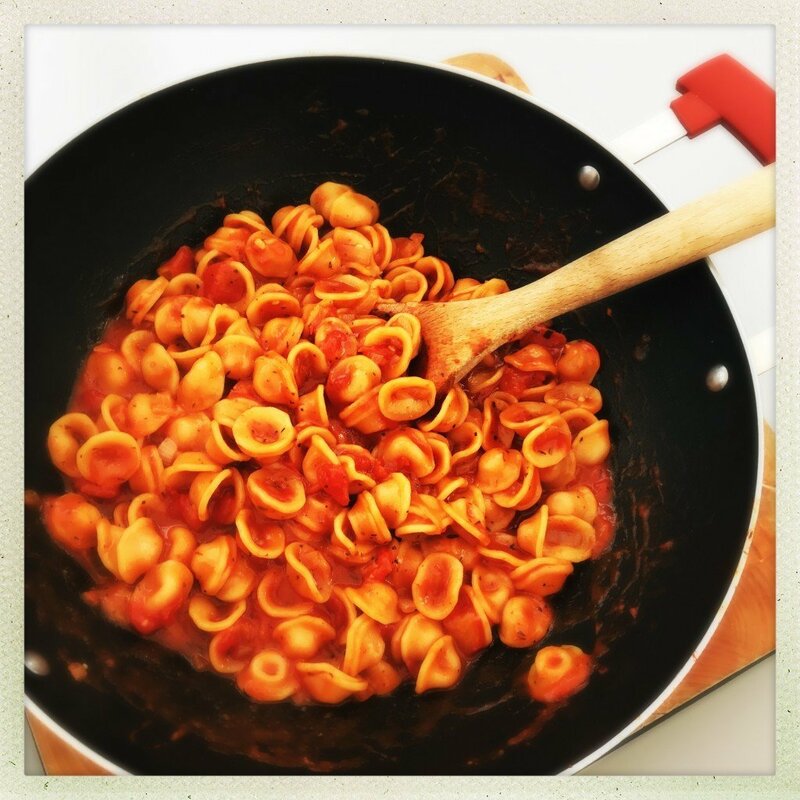 A quick and easy tomato pasta dish, I serve this with loads of toppings for the kids to pile on – so it’s kinda like pizza pasta. Little dishes of mozzarella balls, olives, chopped ham and sliced peppers and anything else they fancy. Always a big hit with the kids. Get the tomato pasta recipe here. The chicken dippers and wedges can be made in advance and just kept on baking trays in the fridge ready to cook with the kids get home – we love these with BBQ beans. Get the chicken dipper and potato wedge recipe here. 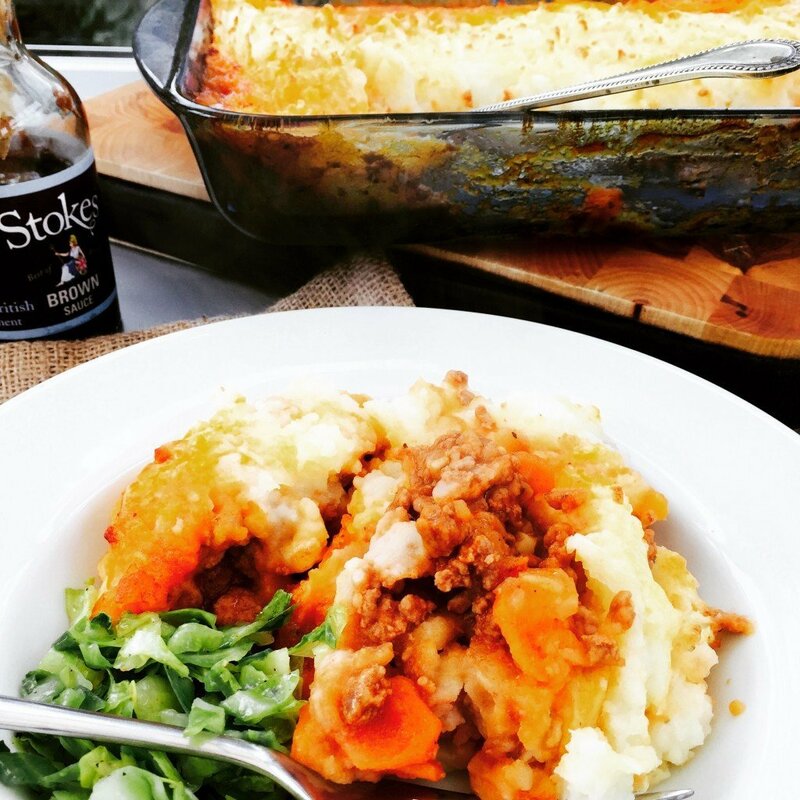 Easy shepherd’s pie totally bursting with flavour. Always fab for family dinner – the kids usually have this with peas and corn but I always need a side of pickled red cabbage. Get the easy shepherd’s pie recipe here. 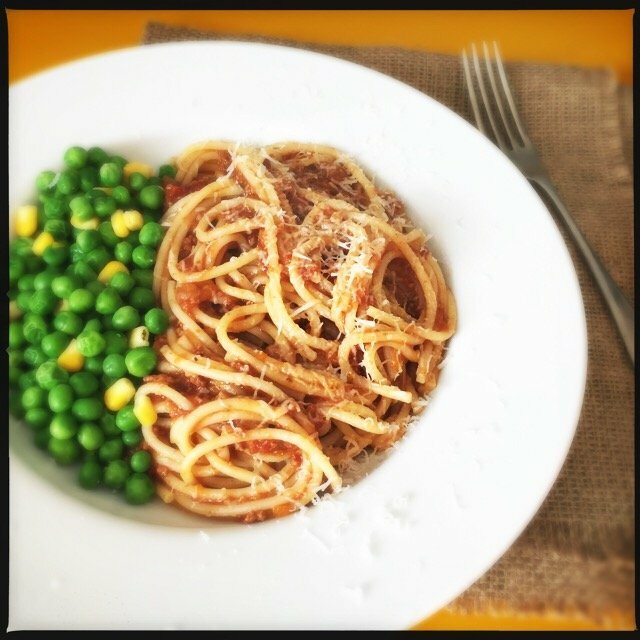 This dinner the kids ask for every single week – really easy to make, just throw it all into the slow cooker and come home to delicious bolognese, here it always comes with peas and corn for the kids and salad for me. Get the slow cooker bolognese recipe here. Quick and easy dinner tonight from the chip shop. 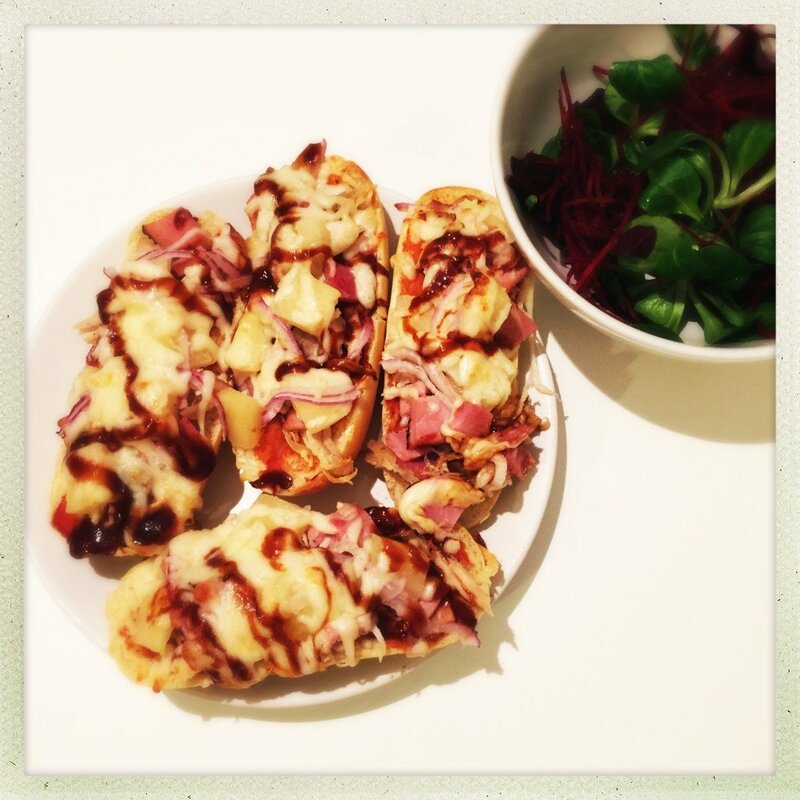 My kids love this one – part baked baguettes sliced, topped with whatever they fancy and then they just take 10 minutes to bake in the oven, perfect for Saturday TV dinner. Get the french bread pizza recipe here. It wouldn’t be Sunday without a roast dinner – and this week is roast chicken, chipolatas, Yorkshire puddings, roast potatoes and loads of veggies.